Grow your business and save you thousands annually! Whether you operate a successful single or multi-location practice, it’s a feeling we all fear. Your business grows and you can’t keep up. 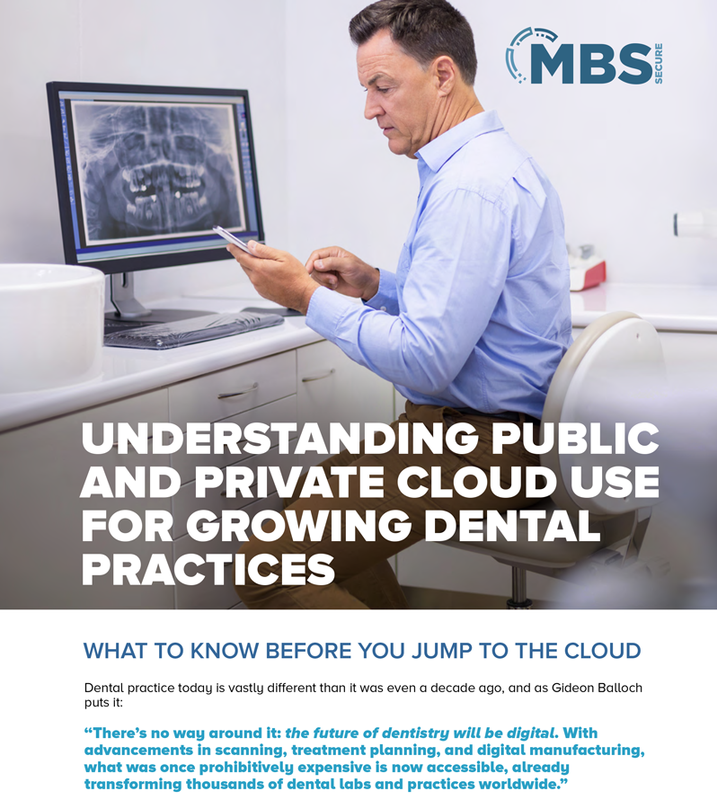 Like many other practitioners, it’s time to face this fear by moving your practice to the Cloud. The Complete Cloud™ easily provides the tools you need to grow your business AND save you thousands of dollars while you’re at it! Complete the form and get access to all the resources. 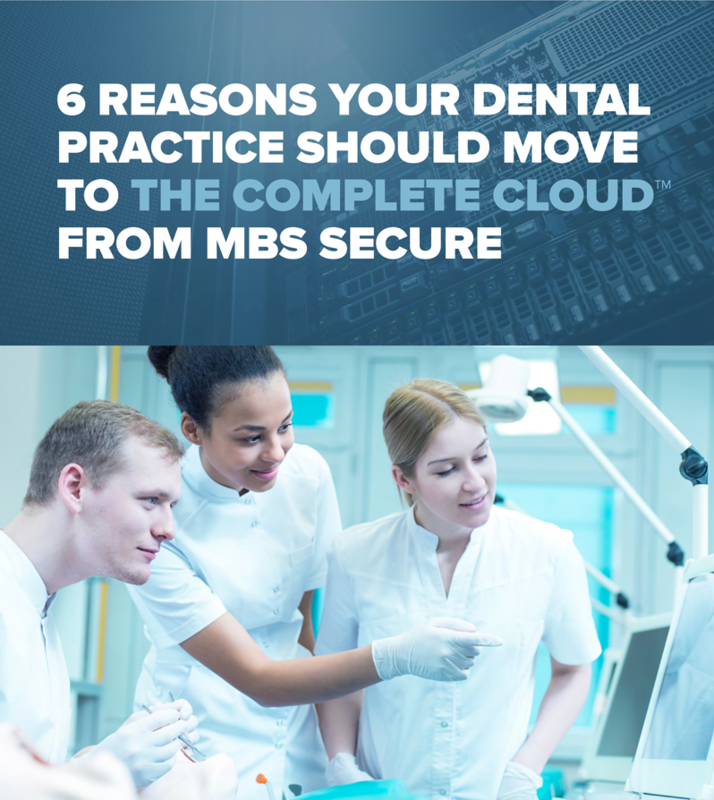 For a dental practice to thrive and grow, you must keep patients happy and healthy, data secure, and costs low. Read about how The Complete CloudTM can help grow your business and better serve your patients. 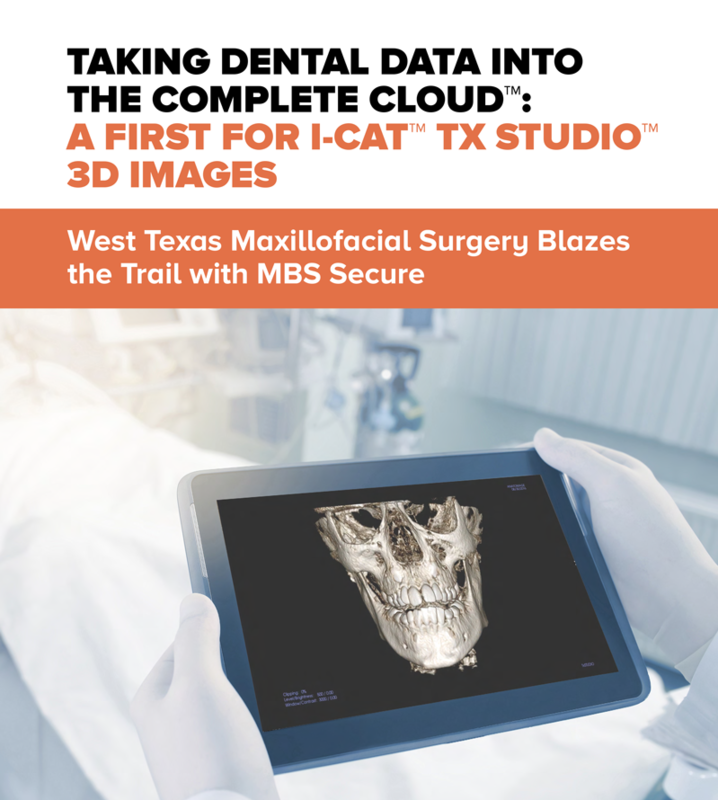 MBS Secure simplifies the usage of 3D imaging by hosting these large files in The Complete Cloud™, meaning less time loading files, less money on in-house infrastructure and more time away from the office. Read the Case Study and learn more. The Complete Cloud™ takes your “complicated web” of assorted applications and makes it easy to manage all of them from one powerful engine. Check out and learn more. If disaster strikes, does your practice have systems in place to protect your data, your business, and your patients? 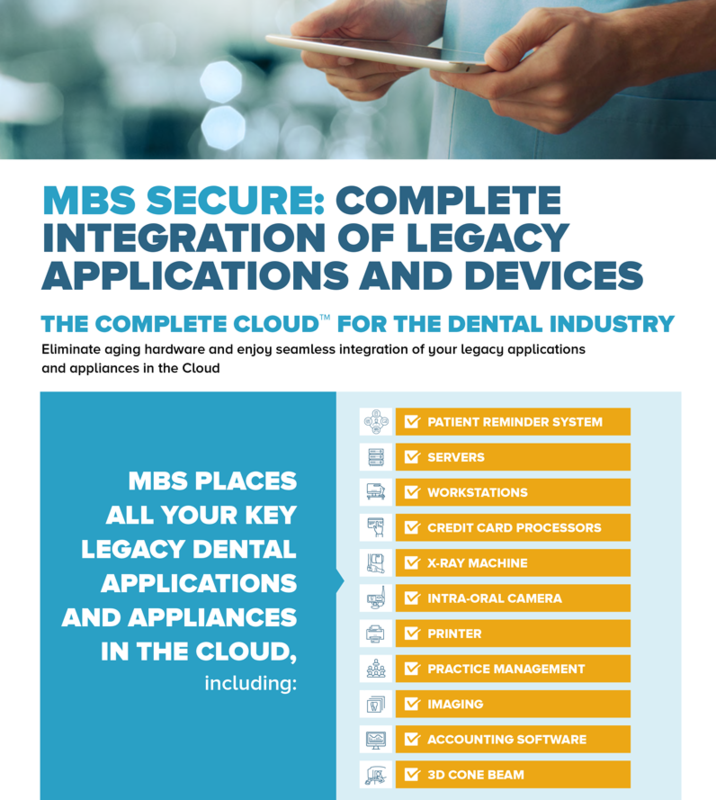 Smart dentists are turning to The Complete Cloud™ for help in preparing for the worst. 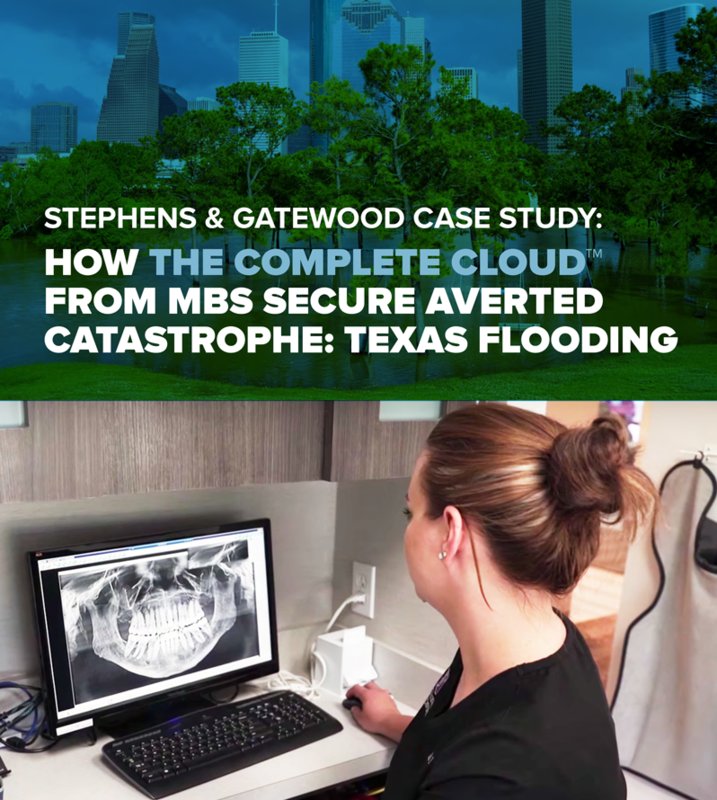 Download the case study and discover how The Complete CloudTM saved one practice from the Texas flood. HIPAA compliance for dental offices can be tricky, especially for multi-location practices, each with their own staff, patients, networks, and equipment. 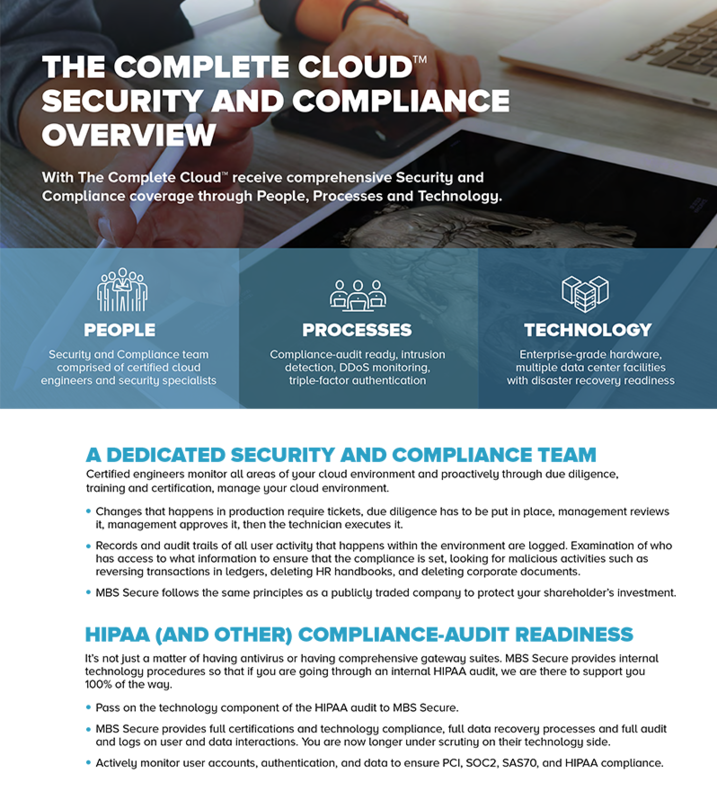 When you use The Complete Cloud™, we can ensure you receive comprehensive security and compliance coverage because of our people, our processes, and our technology. Moving to the Cloud allows for more mobility and easier access, and it can be far less costly than maintaining and managing on-premises hardware and software. But then it comes down to choosing which kind of Cloud: public (like AWS or Azure) or private (like The Complete Cloud™).